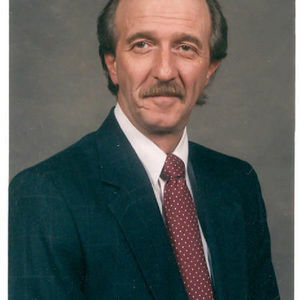 Terence L. Wawers, 69, rural Battle Lake, MN, originally Fairmount, ND, passed away Sunday, May 5, 2013, at Lake Region Healthcare, Fergus Falls, MN, after a brief battle with cancer. The Memorial Service will be Thursday, 2:00 PM at Evergreen United Methodist Church, Wahpeton. Visitation will be Wednesday from 5 PM to 8 PM with a 7:30 Prayer Service at Vertin-Munson Funeral Home, Wahpeton and one hour before the service at the church. Interment will be at Lake Ida Cemetery, Lake Park, MN. Terence "Terry" was born August 28, 1943, at Breckenridge, MN, the son of Leander and Edith (Suess) Wawers. He grew up near Fairmount, ND and graduated from Fairmount High School in 1961. He married Peggy Tangen on August 5, 1967 and graduated from Valley City State College in 1969. He taught school at Kathryn, ND and Golden Valley, ND. Terry started work with Steiger Tractor, Fargo, in 1974. On March 28, 1991 he married Mary McCullough in Hawley, MN. The couple lived in Hawley, Terry retired in 2006. The couple moved to Deer Lake, MN for his retirement. From his childhood to his retirement, Terry loved to hunt and fish. He is survived by his wife Mary, rural Battle Lake, MN; his son, Darin (Stephanie) Wawers, Detroit Lakes, MN; a step-daughter, Kristen Kaszynski, Elmwod, WI; grandson, Brett Wawers, step grandson, Skye O'Brien, and step granddaughter, McKenna Kaszynski; parents, Leander and Edith Wawers, Wahpeton, ND; sister, LeeAnn Tangen, Fargo, ND; niece and nephew, Carly and Erik Tangen, grand nephew, Beau; and beloved dog, Molly and cat Dolly. He was preceded in death by his grandparents. Evergreen United Methodist Church, Wahpeton, ND Funeral Service for Terence Lee Wawers https://www.tributes.com/obituary/show/Terence-Lee-Wawers-95761098#services https://www.tributes.com/obituary/get_ics/95761098?service=2648654&tr= Visitation at church from 1:00-2:00 P.M.
Visitation at church from 1:00-2:00 P.M. The beautiful and interactive Eternal Tribute tells Terence's life story the way it deserves to be told in words, pictures and video. now, during this time of sorrow. You are all in my familie's thoughts. Our condolences to the family. Sorry for your loss. Darrin, so sorry to hear about your dad.He was a dear friend to my parents.I know he his telling them jokes in heaven. He will be sadly missed.